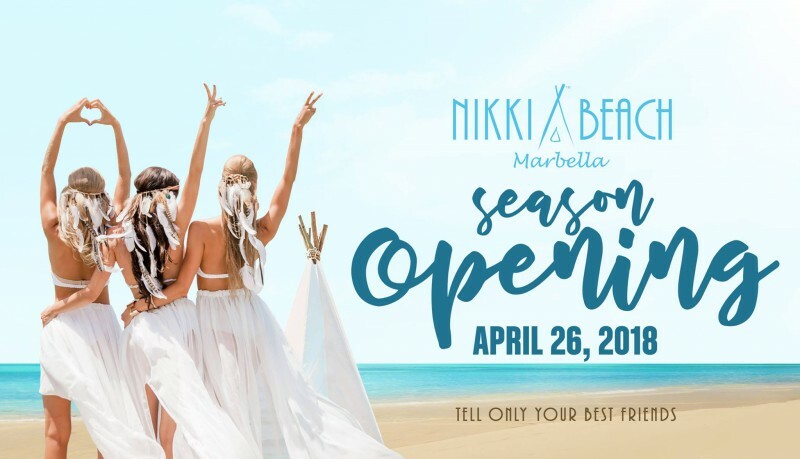 Nikki Beach Marbella opened in 2003 and is located on one of the finest white sandy beaches. The beach club comprises of a swimming pool with VIP beds on a raised deck, a large open-air restaurant, a centrally located octagon-shaped bar, a Lifestyle Boutique and a VIP terrace with spectacular views of the Mediterranean Sea. This winter Nikki Beach Marbella introduced Nikki Privé, an exclusive lounge with an expansive terrace with sea views. Nikki Beach Marbella is open every day from 10 am.